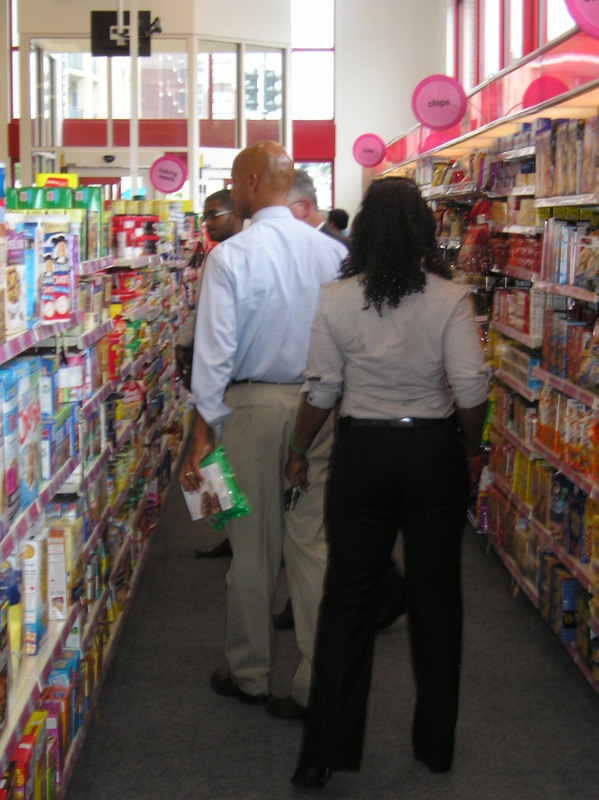 CVS | Park View, D.C.
Today, starting shortly after 3:30 p.m., the new CVS at Georgia and New Hampshire Avenues finally had its official Ribbon Cutting. 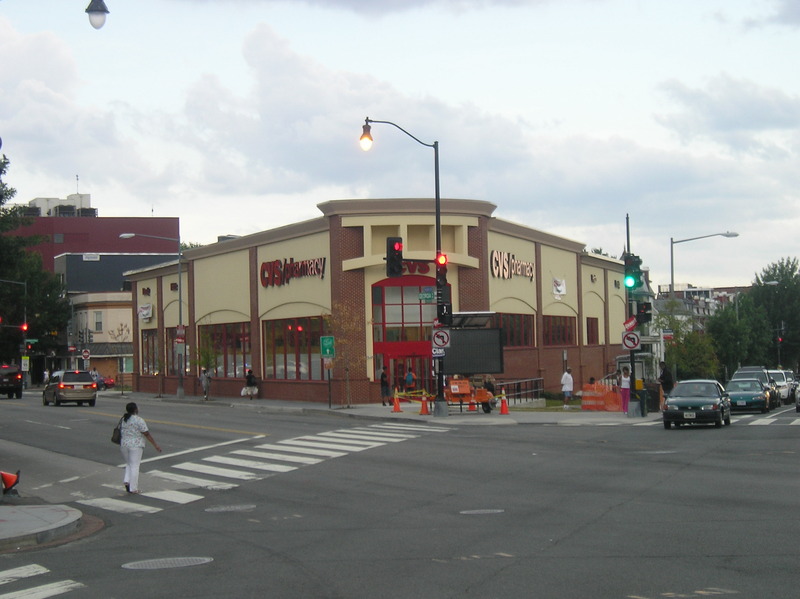 Mayor Fenty, Councilmembers Graham and Bowser, Deputy Mayor Santos, and a representative of CVS all spoke about the importance of this development to the future of a revitalized Georgia Avenue in the Park View and Petworth area. Santos specifically mentioned that about $2M of Great Streets money was used to assist in making this project a reality. 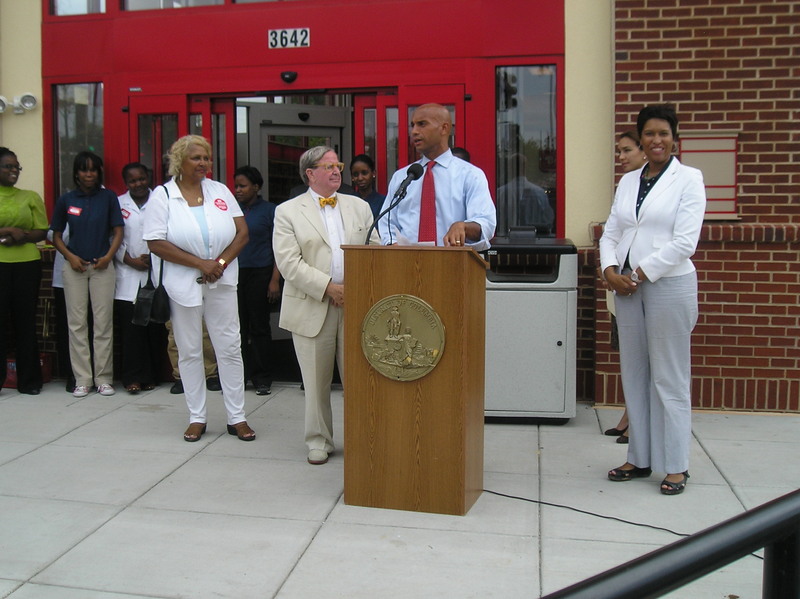 WHAT: Mayor Fenty to join city officials, community members and CVS representatives in a ribbon cutting celebration for the new CVS store on Georgia Avenue near Petworth, Parkview [sic] and Pleasant Plains. 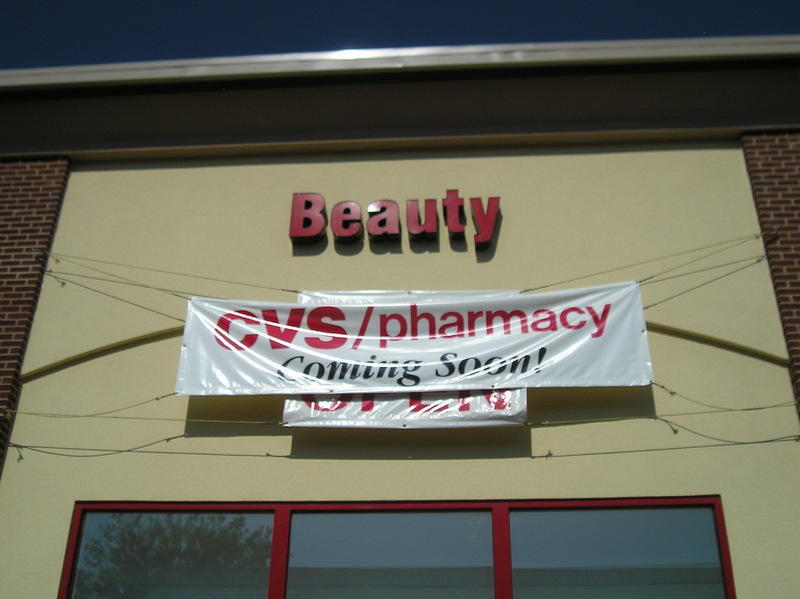 CVS Ribbon Cutting Scheduled for Sunday! 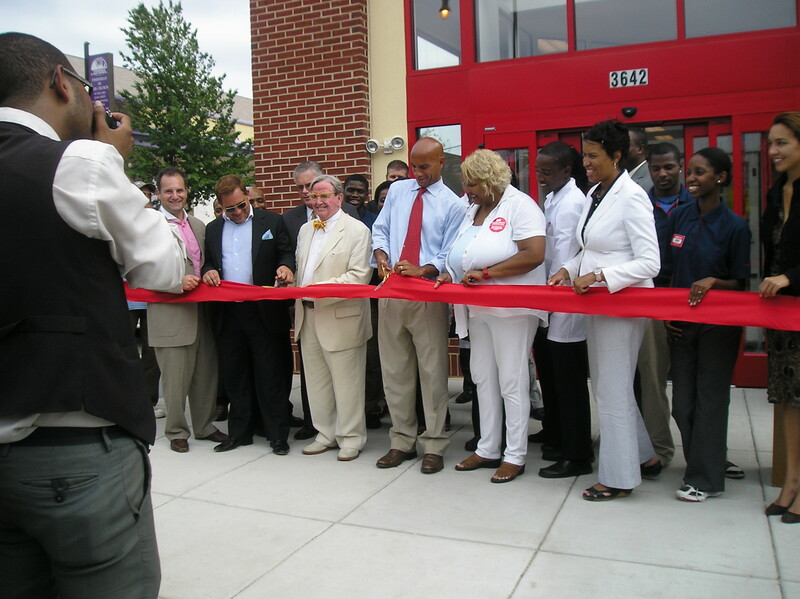 I’ve finally received confirmation that the ribbon cutting for the CVS at Georgia and New Hampshire Avenues is currently on Mayor Fenty’s schedule for Sunday, July 25, 2010, between 10:00 a.m. and 10:30 a.m. You can count on Councilmember Graham and representatives from CVS and LaKritz/Adler to also be there. I presume that Councilmember Bowser would also be in attendance to round out the representation. I’ll post an update if the schedule (date/time) changes. 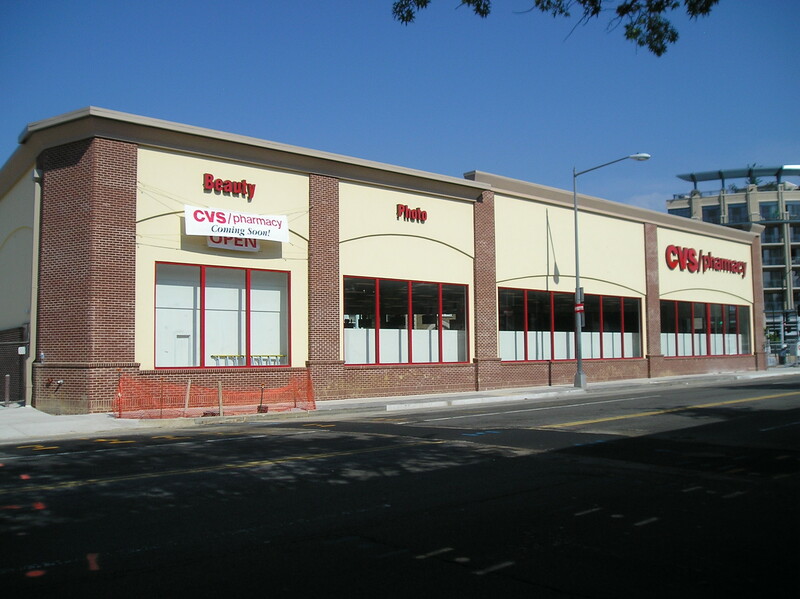 The CVS located at Georgia and New Hampshire Avenues looks like things are finally all set to go. The unofficial word is that they are shooting for opening this Sunday, July 25th. If this is, in fact, the case, that puts this project at 8 months and 13 days from groundbreaking to completion. 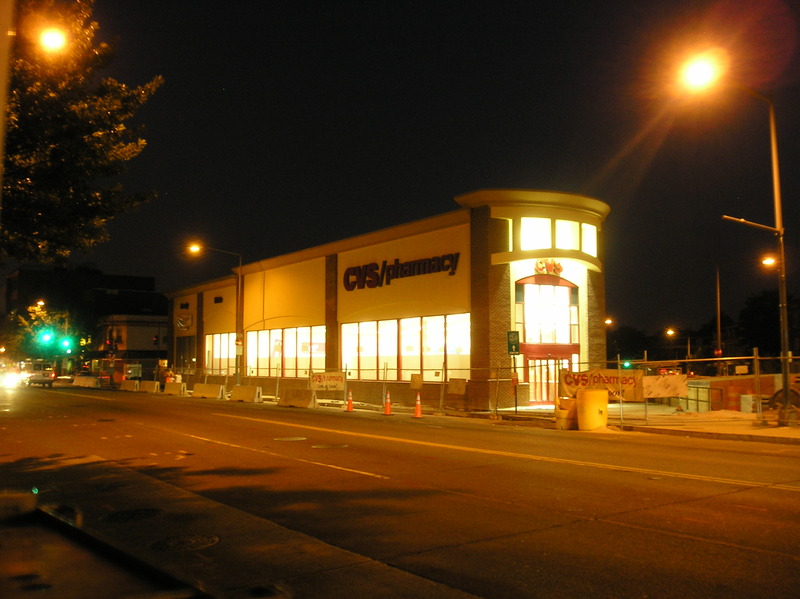 It also will mark the return of a drug store to this location after close to 40 years. 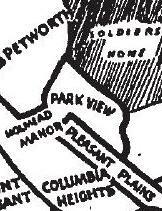 Starting in 1922, this site once housed a Peoples Drug. Details about the opening are still forthcoming. As CVS pushes to open by the end of the July, landscaping has finally started to appear. Most importantly is trees. Along Georgia Avenue, four oaks have been planted along the street. It looks like there is room for a tree or two to be planted along New Hampshire too, but that hasn’t happened yet. In addition to the trees, liriope and barberry appear to be among the other ground covers planted so far. Beyond the landscaping a new bus stop has been installed and the structures along Princeton Place that house the dumpsters have also turned out rather nice. 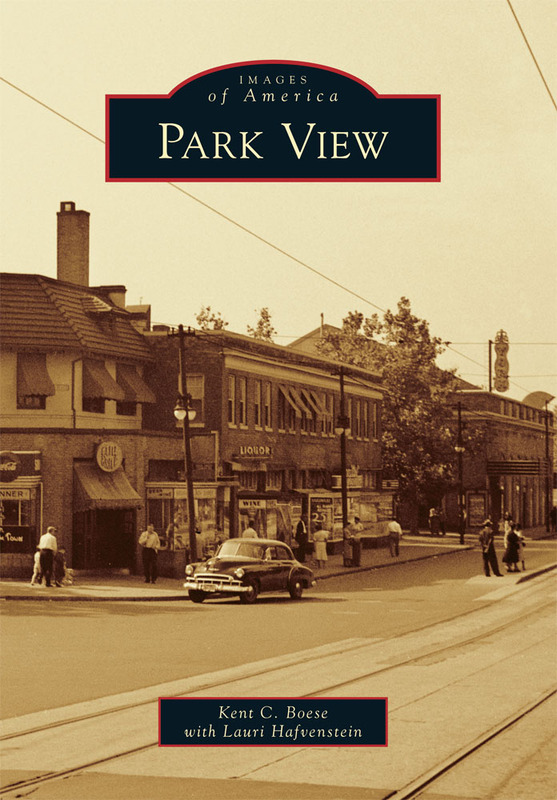 In May of this year, representatives from CVS visited Park View to meet with the community. At that meeting it was announced that they were shooting to open the store by July 4th. 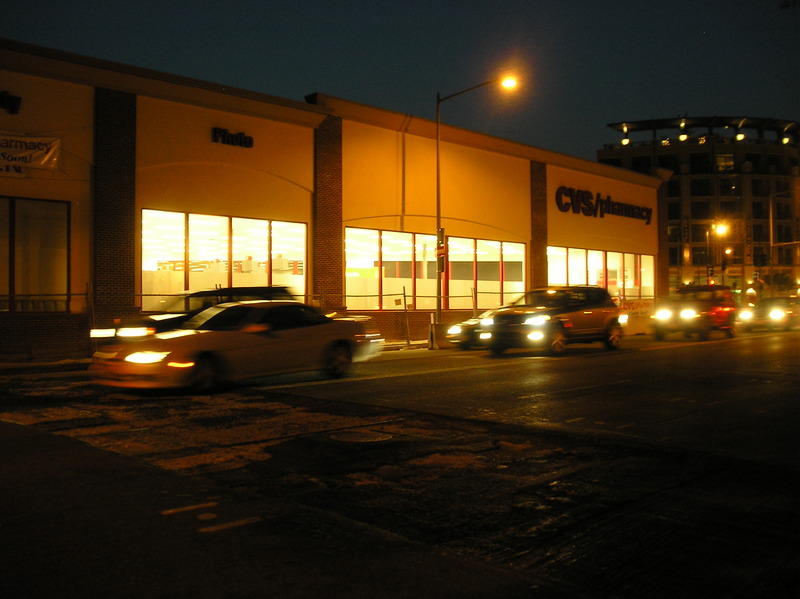 At that meeting the community was also informed about the store’s hours of operation. While the development has been moving along quickly, it has not kept pace for the July 4th opening date. Current estimates have the store opening by the end of July. Still, the site is starting to look less and less like a construction site. The most noticeable recent development is the removal of the chain link fencing and jersey barriers along the Georgia Avenue side of the property. 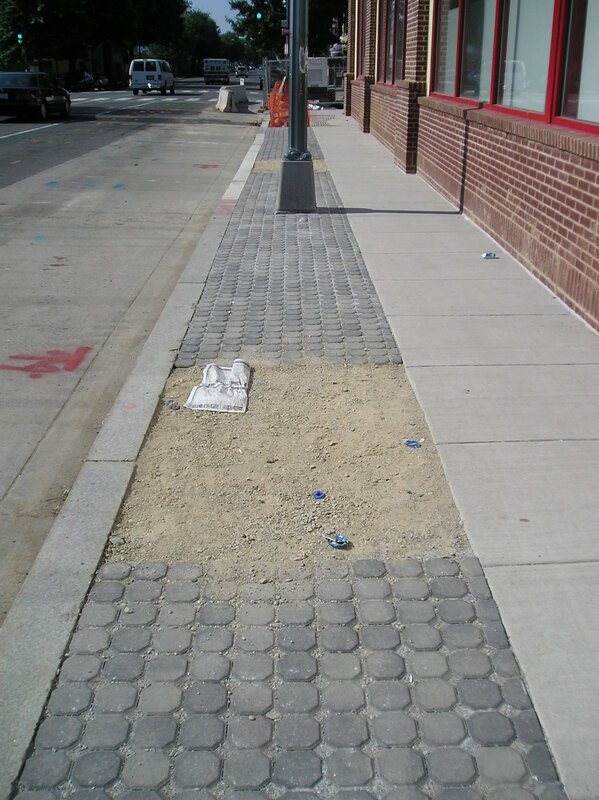 The sidewalks are now installed and permeable pavers exist in the easement between the sidewalk and street. 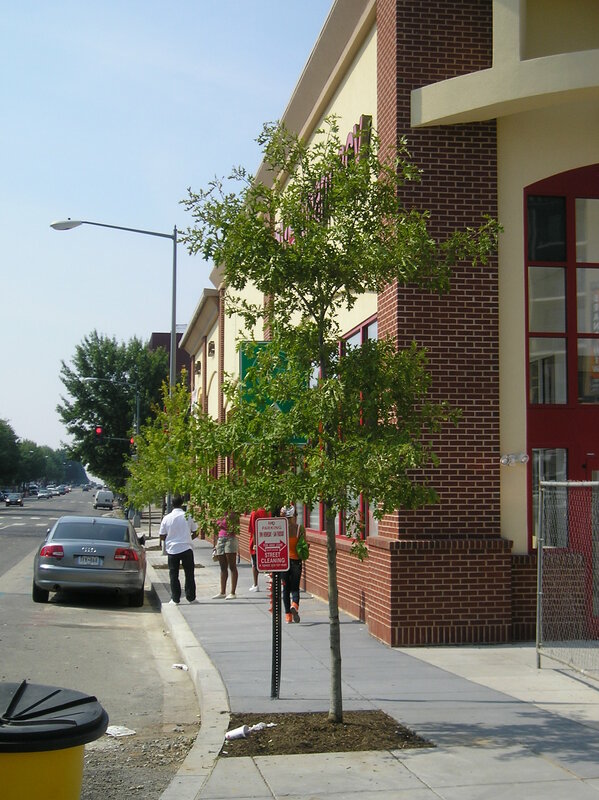 Though the sidewalk is on the narrow side, tree boxes have also been included. We first saw trees proposed for the Georgia Avenue side of the property in the rendering (at right) for the project before ground was broken last November. Once construction was underway, the width of the sidewalk seemed at times to be too narrow to support trees. As you can see from the images below, however, trees do seem to be planned.